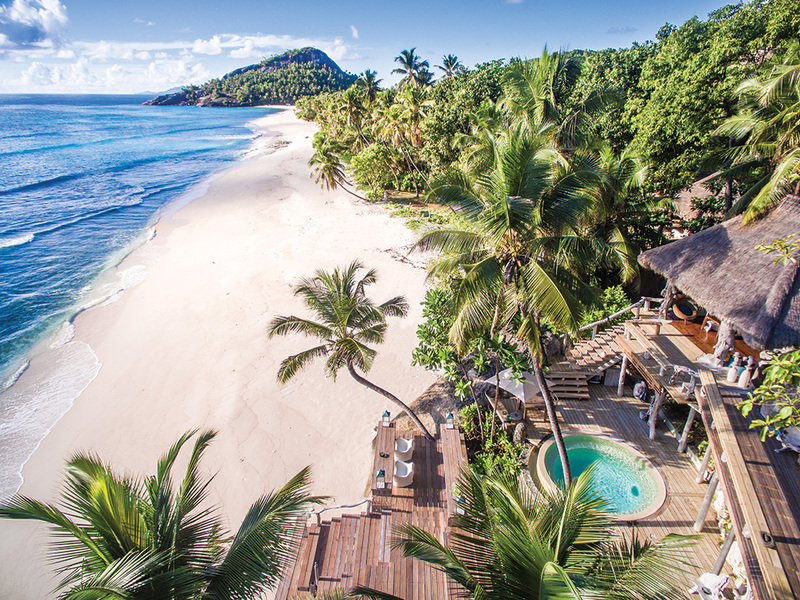 Renowned for romance, Villa North Island (Villa 11) is a favourite honeymoon destination fit for royalty. Here’s why. The concept of Villa North Island is one couple to one castle. With 750sqm to call your own, the sheer scale and luxury of this villa is unimaginably decadent as it spreads out across multi-tiered levels, cascading down through palm forests to the beach below. Perched on granite boulders at the far end of East Beach, Villa 11 is the quintessence of privacy and seclusion. You could be forgiven for never wanting to leave Villa North Island, but there is over 200 hectares of unique fauna, flora and facilities to explore. The villa is equipped with two bicycles and a private Island Buggy to get around the island with ease. 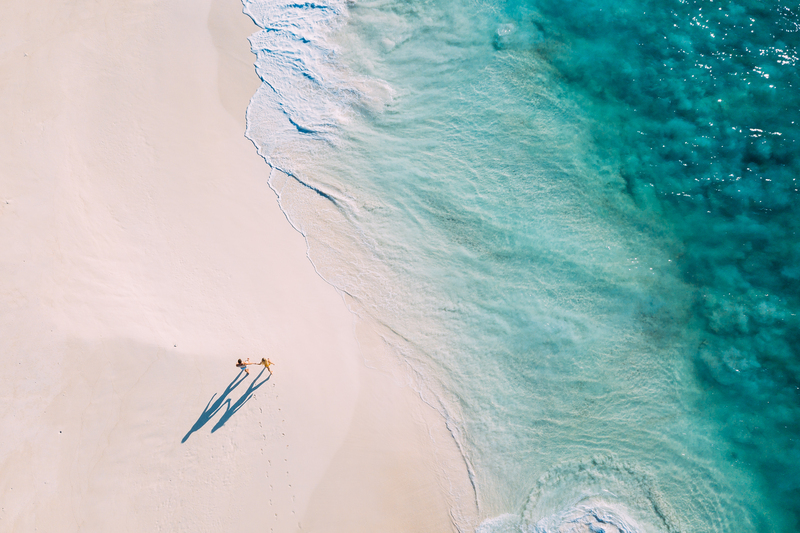 Or choose to adopt a slower pace in life and enjoy long beach walks from your villa to the Piazza along Anse d’Est, one of four private beaches on the island. You will be warmly welcomed to your villa by your Guest Experience Host and looked after by two private Villa Attendants, who pride themselves on getting to know your unique preferences. The combination of personalised and discreet service combined with the island’s infinite sense of space and time creates an exclusive ambience of pure indulgence. Wrapped around the granite boulders in your villa lies a secret lounge. The perfect place to dream. Exclusive to Villa 11, this private deck is located at the furthest point on the island’s eastern coast, with ultra-comfortable loungers and endless views across the Indian Ocean to be shared as a couple over a sunset cocktail and canapés, or a sunrise smoothie and sun salutation yoga session. 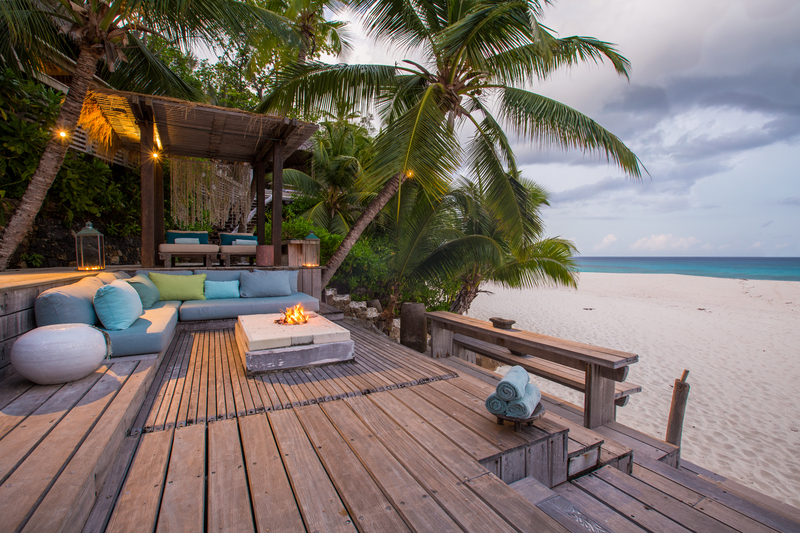 Another unique feature of Villa North Island is its beautiful sunset barazza, where deep loungers are filled with an abundance of cushions in marine tones, reflecting the turquoise waters below, surrounding a stone fire-pit for night-time enjoyment of the wide-open world. Return after dinner for a star-lit digestif in the privacy of your villa. You will have four showers to choose from in Villa North Island, but it’s the open-air shower extending off the main bathroom that you will fall in love with. It is a true celebration of nature, with picturesque palms forming a natural frame of the azure North Island. Your lounge and study converts into a private cinema, where you can choose a classic romantic movie like Breakfast at Tiffany’s or Gone with the Wind, complete with popcorn and movie snacks. 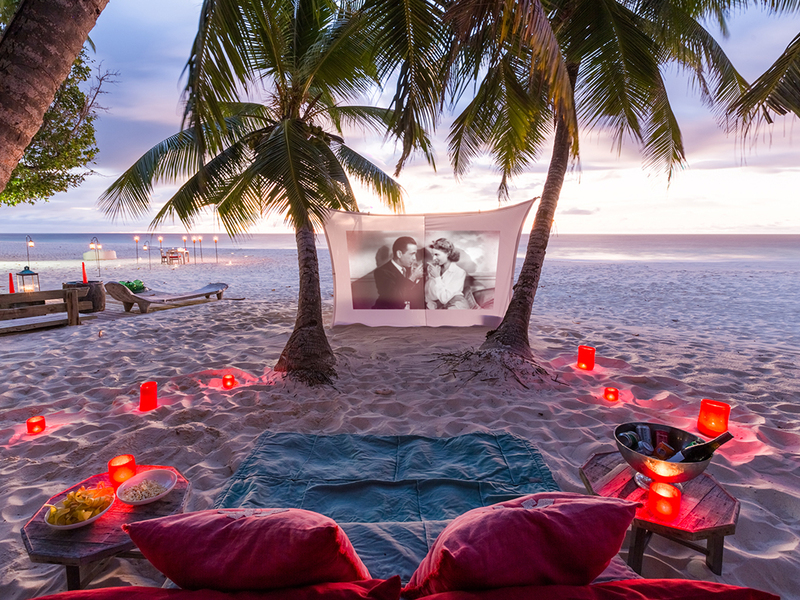 Or if you prefer the outdoors, ask your Villa Attendant for a special beach movie experience, set up with a ‘sail’ screen strung between two palms. On arrival, you will receive a complimentary 1-hour welcome treatment per person to enjoy at the North Island Spa, a tranquil oasis located on the other end of the island with views as therapeutic as the treatments. But it doesn’t stop there – get ready to be spoilt with surprises, from romantic turndowns with over a hundred tea light candles and champagne baths, to special star-gazing set-ups on your balcony. 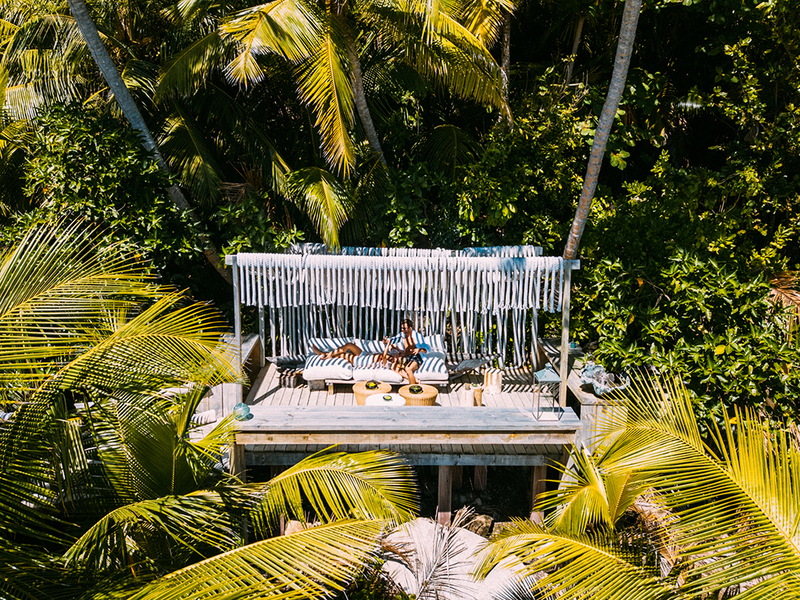 With so much space, Villa North Island has a plethora of private dining venues for you to choose from and you can dip into your private pantry for treats and drinks in between meals. Your kitchen is also equipped with a picnic basket to make a day of it on Honeymoon Beach – which you can book off for the two of you to enjoy alone. All activities are included, with a wide range available on land and sea. Or simply choose to while away the day at your villa’s private plunge pool. Live on island time, with no set schedules on North Island where you can do as much or as little as you please. The island is completely at your disposal. The team’s philosophy is about creating authentic moments and long-lasting memories, ensuring that each couple’s experience is entirely bespoke. Every detail is carefully thought out and personalised to your perfect holiday vision.